Are Gutter Covers Really Important to Have? Gutter covers can be one of best investments that you make in your home. A simple and affordable upgrade, a professional can have them installed in about an hour depending on how long your gutters are. What are some of the benefits of covering your gutters? Gutter covers will keep leaves, sticks and other debris from clogging your gutters. This means that you don’t have to clean them or have someone clean them for you during the spring and summer months. During the winter, the covers will keep ice and snow from freezing and preventing water from running away from the roof and flowing away from the property. Leaves and other organic material in your gutters is a tasty meal for termites, ants and other pests that could make their way into your home. Having a professional install a protective covering can keep them out and keep the rest of your home pest free as well. It may also help keep mice, rats and squirrels from nesting in or near your home. Gutter covers will make it easier to sell your home when you decide to put it on the market. Buyers will see that you have taken the time to maintain your property, which means less work for them when they move in. While it may not necessarily improve the value of the home, it will get it off the market faster if that is a priority. 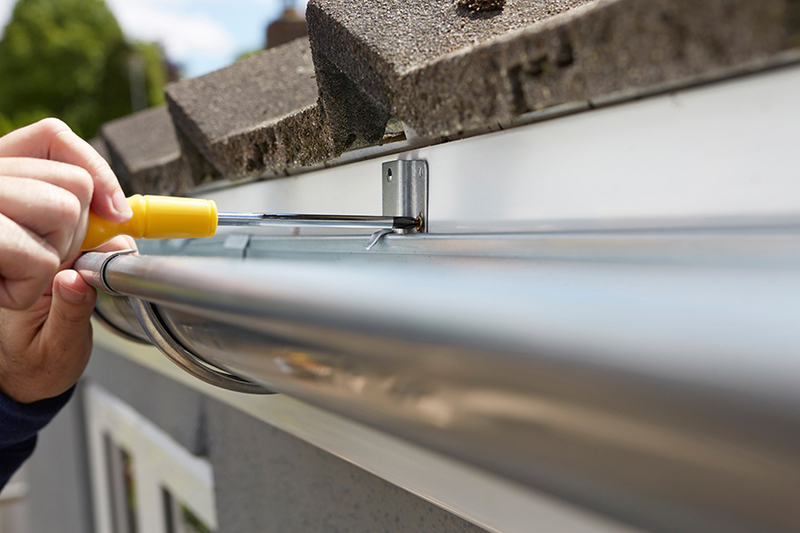 Installing a protective cover on your gutters provides a wide range of benefits. They can be installed just about any time of the year by professionals who will do the job right the first time. Once they are put on, they require little maintenance, which makes it easier to enjoy your property without worrying about potential water or pest damage.